I seem to either use a facial cleansing brush constantly or not at all, there never seems to be an in-between. I've been using the Remington Revitalise Facial Cleansing Brush in the last few months of 2015 and after using it, it made me wonder why I ever stopped using one!! 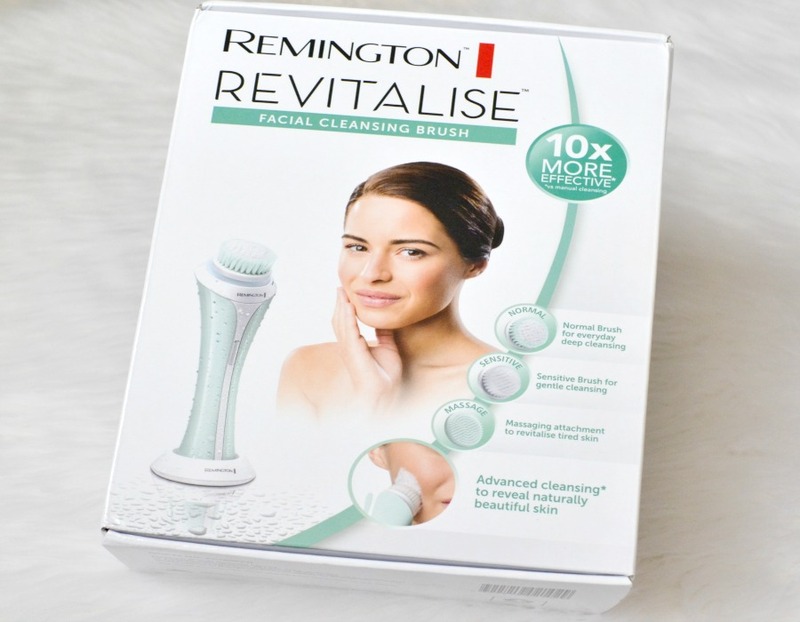 The Remington cleanser is supposed to be 10 times more effective than manual cleansing. 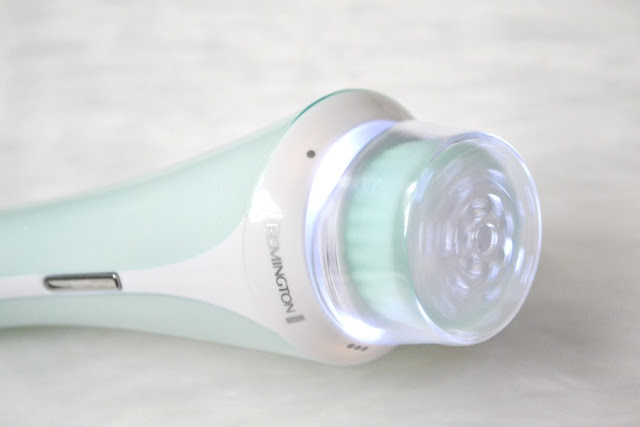 It has a minute timer with a gentle pulse every 20 seconds (it's best to do 20 seconds on each cheek, as well as 20 seconds on your forehead for the best results). From one charge you get 30 uses, so depending on if you use it once or twice daily, you'll get between a fortnight and a months use from one charge. I have found that it did last a bit longer than that! In the box there's the cleansing device, 3 different styles of brush head, a charging stand and a cosmetics bag to keep it in (which is perfect for travelling). What really impresses me about this is the fact that it comes with 3 different brush heads. Other brands that I've used, I would have to purchase extra brush heads as there was only one style in the box. There's a normal brush for everyday cleansing, a sensitive brush head and also a massaging brush head which is great for revitalising dull skin. Personally I have stuck with the sensitive brush head when I'm removing off my make up and I like to use the massage attachment in the morning as I find that it brightens up my skin (and me) in the morning. I just put on a small amount of cleanser on my face, rub it in for 5 seconds then use the brush for a minute all over my face. One thing that I've been doing lately is also using this on the backs of my arms where I have keratosis pilaris (loving known as chicken skin). I've noticed a big difference since doing this as it gives a very soft daily exfoliation. I love the LED lights on the brush head. While it doesn't have any benefit on the cleansing process, it does make the brush look cooler. I've used cleansing brushes with batteries and cords to recharge, but I like the charging stand the best. I can keep it discreetly charging in the corner unlike my Clarisonic which would just lie down oddly while charging. I do want to mention that I am limited to where I charge it. I can't charge it using one of my power points in the kitchen due to the way the charger sits when it's plugged in. If you don't have anything like a mini bench sitting directly under where you're charging then this won't be an issue. There's a 2 year warranty so you have peace of mind about any issues. 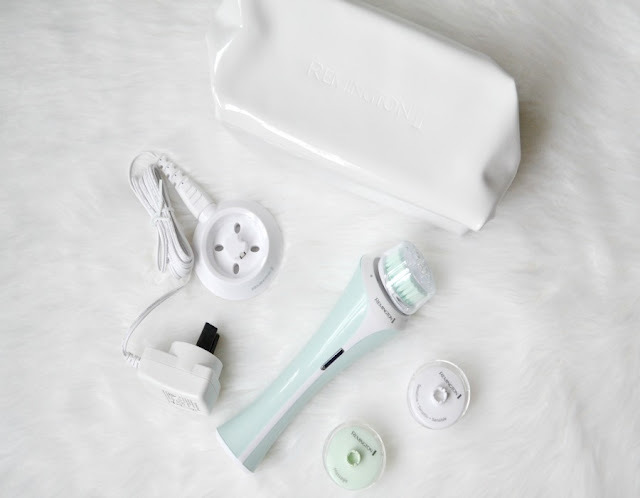 Find out more about the cleansing brush here. While it retails for $99.95, Harvey Norman sells it for $79.00 and the Shaver Shop has it for $89.00. 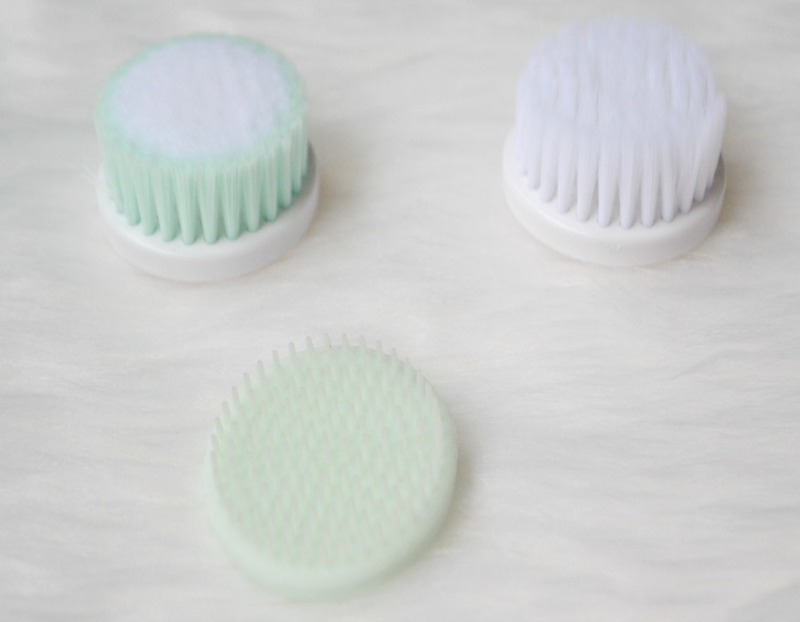 Do you use a cleansing brush everyday or are you like me and go in on-off cycles?